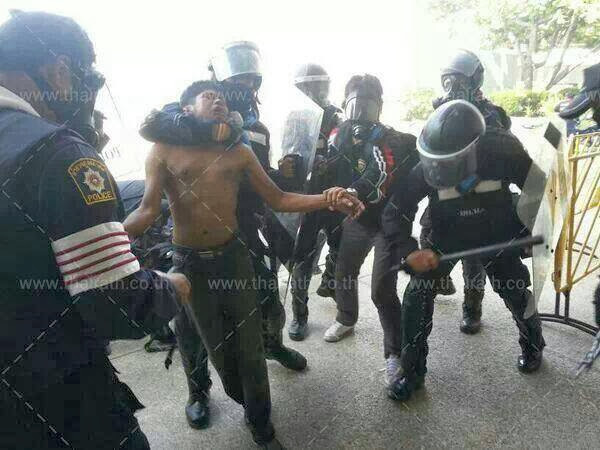 December 27, 2013 (Tony Cartalucci) - Over 150 were wounded, some very seriously, and two deaths have been reported after protesters clashed with regime police in Bangkok's Din Daeng district. The site of the clashes was the Thai-Japanese Stadium, hosting the Election Commission's registration venue, part of upcoming February 2, 2014 sham elections in which only the regime will be running for office. Image: While two are dead, many others injured in Bangkok clashes, the regime's figurehead prime minister, Yingluck Shinawatra, was all smiles as she continued to campaign hundreds of miles north in the city of Chiang Mai for upcoming sham elections. February 2, 2014's elections will see her brother Thaksin Shinawatra's Puea Thai Party as the only serious contender running as all opposition parties are boycotting a process widely seen as illegitimate. The policeman was killed and three were wounded by gunshots from an unknown attacker who was believed to have been overlooking the clashes from a building. 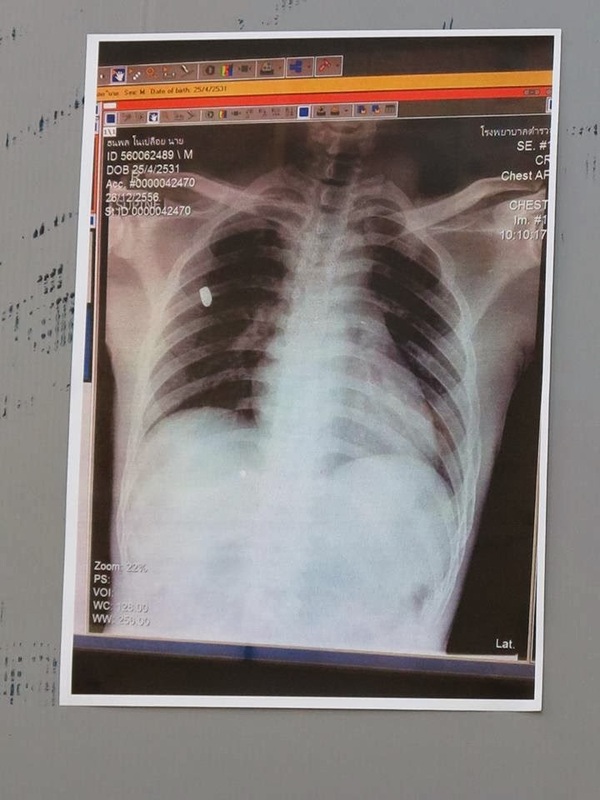 An x-ray used by the regime as "proof" he was shot, shows the axis of the bullet, revealing that it was fired from almost directly above - corroborating the Reuters report and casting further doubt on claims by the regime that it was protesters outside the gates of the complex that fired the fatal shot. Readers should also be aware of pro-regime propagandists explaining to fellow regime supporters about plans to use agent provocateurs to kill civilians and police in order to discredit the protests. News update from the Bangkok protests. Abhisit Vejjajiva plans to join Suthep Thaugsuban's illegal anti-democracy rally tomorrow to try to revive flagging numbers. Meanwhile, Thaksin Shinawatra's secret "black shirt" force of provocateurs, mostly made up of navy SEALS and marines, is back on the streets again for the first time since May 2010 and has infiltrated Suthep's rabble. If protests escalate they will seek to incite deadly violence ahead of King Bhumibol's birthday to discredit Suthep and his movement for good. 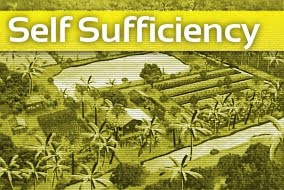 The military remains divided and weak, and top commanders have no intention of intervening for now. Unless sanity prevails in the next few days, there will be more bloodshed on the streets of Bangkok in early December. 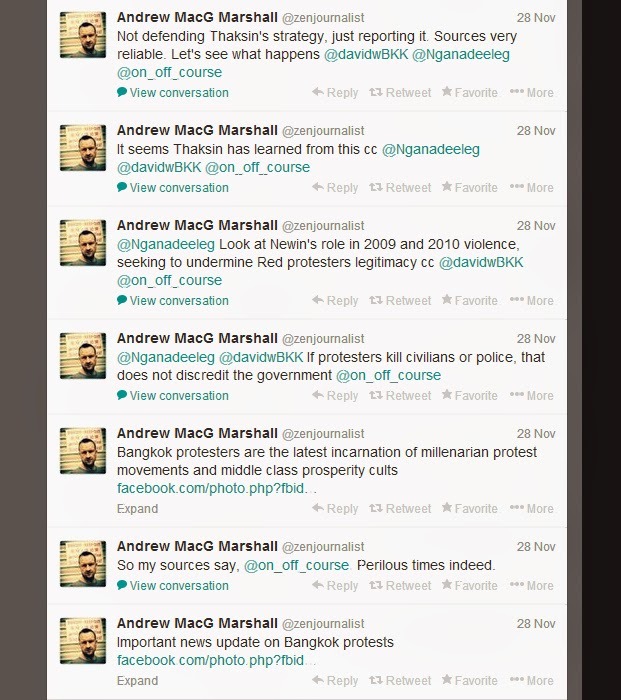 Marshall claims that a "very reliable source" has passed this information onto him, and assured fellow regime supporters that "if protesters kill civilians or police, that does not discredit the government." In what appears to have been an insidious ambush on both protesters and the regime's own police, the political crisis has just been escalated - all for the sake of preserving Thaksin Shinawatra's proxy regime - Thaksin Shinawatra who remains safely lounging in 5-star luxury in Dubai, and sister Yingluck who remains safely aloft in distant Chiang Mai. The saying, "Nero fiddled while Rome burned" comes to mind.